At the recent European Academy of Optometry and Optics meeting in Malaga, we had a session of the Special Interest Group 4 ‘Cornea, Contact Lenses and Refractive Technology,’ with a lecture by Helmer Schweizer about fitting soft contact lenses. As a contact lens educator of the Beuth University, Berlin, one of the leading optometry schools in Germany, we have a special interest in fitting contact lenses, and therefore I joined the meeting. · Yes, it is an advantage to have disposable lenses. · Yes, most of the disposable lenses fit. Another observation of the disposable lens fits at my university is that many demonstrate inadequate movement – they move, but not enough. Most of the disposable lens systems have only one base curve (compliments to J&J, Menicon and Bausch+Lomb – they offer two), which is reason number two why so many lens fits fall into the ‘could fit better’ category. If we fit toric or multifocal lenses, all have only one base curve. But we all know, especially with toric or multifocal lenses, it could be very helpful to have additional options to improve lens movement, stabilization or centring. 1. 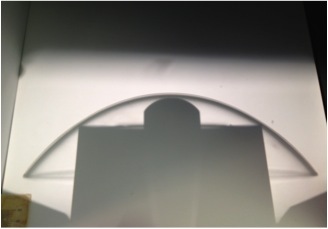 A second (smaller) diameter is needed for disposable lens systems. We know from experience that smaller lenses can provide more tear film exchange. This would be better for the patients because it may reduce the risk of microbial keratitis. 2. Provide more disposable lens systems with more than one base curve, especially for toric and multifocal lenses. The argument of the past, that the number of lenses prescribed is too low to produce and sell them successfully, is no longer valid today (about 90% of the market is disposable lenses). The eyes of my students are not smaller, steeper or flatter than in any other place in the world. If we estimate that the contact lens market in Germany has about 3.4 millions wearers, nearly 3 million people wear disposable soft contact lenses. If we assume for a moment that my students are representative for all, about 1 million people wear contact lenses that fall into the “it could fit better” category – a terrible thought. Peter Moest is the head of the department of Contact Lenses at the Beuth University of Applied Sciences in Berlin, Germany. He studied physics in Berlin and received his PhD in physics also in Berlin - in 1988. 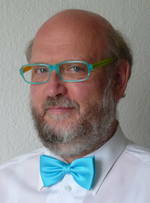 Since 1989, he has been involved in contact lens education, first at the "SFOF Berlin,” which is now the Beuth University of Applied Sciences. He is a member of IACLE and of the German contact lens and optometric association VDCO.